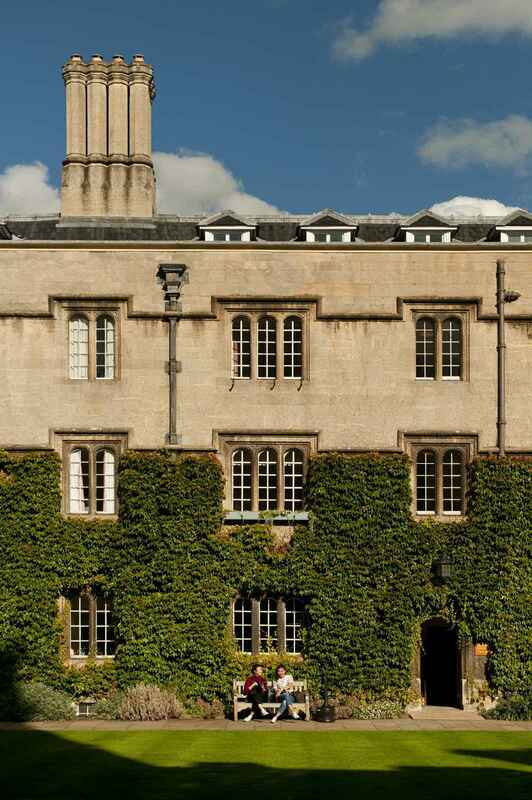 Welcome to the University of Oxford English Language Teachers' Summer Seminar 2019 offering you a first class professional development experience in one of the university's oldest colleges. This uniquely-structured two-week programme taught by a team of highly-experienced international trainers aims to give you an exhilarating and enriching study experience. As participants come from all over the world, the programme is also an exercise in community building and international understanding. The seminar will be accommodated and taught at Exeter College. Founded in 1314, Exeter is one of the university`s oldest colleges and is situated in the heart of Oxford. Prominent college alumni include the authors J. R. R. Tolkien and Philip Pullman. 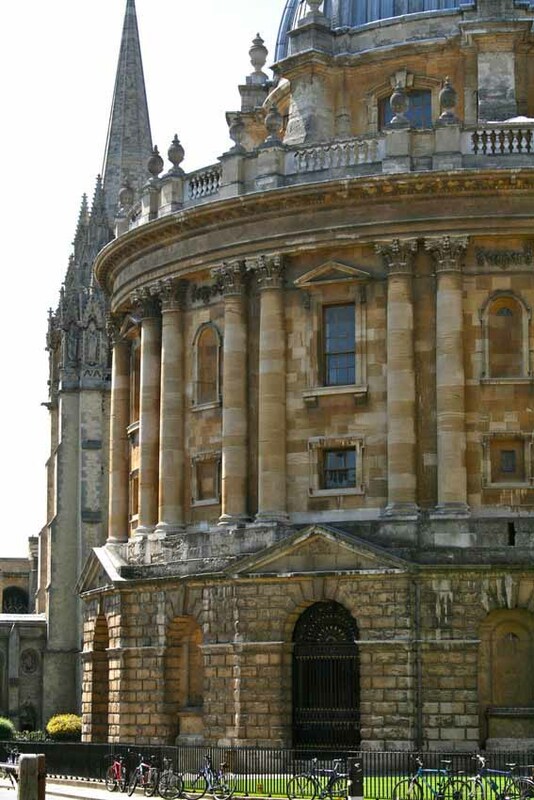 Have you ever imagined what it would be like to study at the University of Oxford? Our long-established Summer Seminar for English language teachers is a wonderful opportunity for you to engage with international counterparts, to share teaching experiences and to explore new ideas in a positive and supportive learning environment. Under the guidance of some of the ELT world's leading trainers, we aim to offer you a highly practical, engaging and rewarding learning experience. During your two-week course, you take four workshops; two in Week 1 and two in Week 2. Your day begins with a stimulating and informative plenary lecture followed by your morning workshop. After lunch you take your afternoon workshop on a completely different topic. Each year, we offer a choice of ten lively workshops giving you the chance to enhance your skills in areas such as teaching pronunciation or to explore areas that are perhaps new to you such as teaching with mobile technology. This unique structure enables you to experience a different dynamic in each workshop and the chance to work with ELT professionals from a variety of teaching backgrounds from across the globe. You'll also quickly discover that this is a summer school unlike most others as it offers you the rare opportunity to to study and live in an Oxford college. From the opening reception in the Fellows' Garden to the farewell gala dinner in the splendid surroundings of Exeter College dining hall, the memories of the Summer Seminar will, I am sure, remain with you for many years to come. We look forward to seeing you in Oxford very soon. Oxford University has carefully selected an outstanding academic team by bringing together some of the top trainers and tutors in the field of ELT today. Principal Tutor for the Summer Seminar is author, trainer and international ELT consultant Adrian Underhill, a leading figure in the field of teacher education. Each morning begins with a plenary lecture delivered by a prominent figure or by authors working in ELT. Some lectures will be directly relevant to classroom practice, whilst others are intended to be more theoretical and thought-provoking. For a detailed outline of the course structure please view this example schedule. Please note that as the workshop sessions incorporate a large amount of interaction and participation with colleagues, all teachers are invited to contribute proactively to group discussions. Social activities will be organised for the late afternoons and/or evenings, Monday to Friday. These are likely to include: a walking tour of Oxford, a cultural exchange evening, a treasure hunt, a Shakespeare play, guest lectures, an evening of Scottish country dancing (where you do the dancing! ), and much more. For participants resident at Exeter College, all meals are provided with the exception of weekend lunches. For non-resident participants only lunch is included in the course fees. We invite all participants to join us for an opening dinner on Sunday 28 July and for our formal farewell gala dinner on Friday 9 August. Breakfast: Self-service in the dining hall - each morning you will have a choice of fresh fruit, yogurt, cereals, bread, pastries. Lunch: Self-service buffet in the dining hall – a choice of two hot meals (one of which will be vegetarian) or a choice of cold meats and fish, quiches, salads, fresh fruit, yogurt; Or a choice of hot soup, freshly made paninis and baguettes, cakes and crisps served in the Undercroft Bar. Dinner: Self-service in the dining hall each evening. On the final evening a formal three-course farewell dinner will be served. During the Seminar, representatives from Oxford University Press and Macmillan will be present to showcase current and forthcoming ELT publications. All teachers will be offered a discount of 20% on ELT publications purchased during the seminar. On successful completion of the Summer Seminar, all participants will receive a University of Oxford Certificate of Attendance. Participants who choose to be resident on the programme will have a single study bedroom in Exeter College and will take meals in the college dining hall. All meals during the programme will be provided for college residents, except for lunch at weekends. Bedrooms are located up the four to nine floors of a staircase. Bath and/or shower and toilet facilities on each staircase are shared between 4 to 5 bedrooms. A very limited number of rooms have private bathroom facilities (shower room and toilet) and these are available for an additional fee. These rooms are allocated on a first-come first-served basis, so early application is essential. Participants cannot be accommodated at Exeter College either prior to or beyond their programme dates. Family members and/or friends who are not enrolled on this programme cannot be accommodated in college. (Please be aware that demand for accommodation in Oxford during the summer months is high). The aim of Oxford University's Department for Continuing Education (OUDCE) is to treat all participants equally and welcomes applications from people with disabilities. Individuals` needs are taken into account as far as possible, providing reasonable adaptations and assistance within the resources available. We ask that people let us know of any disability or special need (confidentially if required) so that we can help them participate as fully as possible. When applying for OUDCE`s college-based summer programmes, prospective participants with mobility difficulties or visual or hearing impairments may want to make preliminary enquiries to the Programme Administrator, as the age and layout of these colleges often makes them user-unfriendly (although adaptations are often possible). Oxford, as an ancient city, tends to be difficult to navigate for people with disabilities. The number of very old buildings, designed in an age less sensitive to issues of disability, makes access to much of the city centre difficult. However, OUDCE will do as much as it can to make study with us possible. Participants should contact us if they will have problems gaining access to a bedroom or a teaching room that is located on upper or basement floors, or to the college dining hall (which is reached via a flight of stairs). We are, unfortunately, unable to offer any scholarships or reduction in fees for the English Language Teachers' Summer Seminar at present. meals in hall from dinner on Sunday 28 July to breakfast on Saturday 10 August 2019 (except lunch on Saturdays and Sundays and meals during optional weekend excursions). lunch Monday to Friday, and the programme's opening and formal closing dinners on Sunday 28 July and Friday 9 August 2019, respectively. Please note that refunds are only offered in exceptional circumstances. Please consult our terms and conditions for more details. Applicants are strongly recommended to take out vacation cancellation insurance, and should consult their travel agent and/or insurer for information and advice. Please note that OUDCE does not offer any insurance cover. The status of the course will be reviewed on 1 May 2019. If it is likely that the course may be cancelled, all participants enrolled on the course will be notified in writing within seven days, and possible options clearly explained. If participants have not heard from OUDCE by 9 May 2019, they should assume that the course will be running; there is no need to contact us to confirm. Participants may wish to delay finalising their travel arrangements until after this date. Are you looking for additional financial assistance? Each year many English language teachers benefit from the financial support provided by the EU’s Erasmus Plus Programme (Key Action 1 – Learning Mobility of Individuals). If you are an ELT teacher from any EU or EFTA country your school or organisation may be able to apply for funding on your behalf. To check your eligibility and for full details of the Erasmus Plus Programme, please visit the website of the European Commission here. Complete your application form for the English Language Teachers' Summer Seminar and send this to us immediately. You should not wait until you receive the outcome of your Erasmus Plus application. Please note that the deadline for completed Erasmus Plus applications is 11 a.m. on February 5, 2019. Post: English Language Teachers' Summer Seminar, OUDCE, 1 Wellington Square, Oxford, OX1 2JA, UK - the form must be accompanied by five passport-sized photographs (i.e. 3cm x 3.5cm), with your full name printed on the back of each. Subject to the availability of places, the closing date for applications is 20 May 2019. Applicants will normally be notified of the panel's decision by email within 14 days of their application being received. Applicants who are offered a place on the summer school must respond within 14 days to accept or decline the offer. In accepting our offer of a place applicants are committing to paying their programme fees in full by the due date. Successful applicants will be formally enrolled on the summer school once they have accepted our offer of a place. The enrolment process includes the issuing of invoices, which will be emailed to applicants together with full instructions for payment. Applicants will be required to pay the full fee within 28 days of their invoice date. Late applicants may be required to pay the full fee within 7 days of their invoice date. Places will not be held for students whose fees are not paid in full by the due date. Under no circumstance will applicants be admitted to the summer school unless all fees have been paid in full. Once fees have been paid in full, applicants will be sent a formal letter confirming their place on the course and receipt of their payment. Detailed course information notes will be emailed to participants in Spring 2019. These notes will contain a wealth of practical information to assist students preparing to travel to Oxford. If you require a visa to study abroad, then we strongly recommend that you apply for this course as early as possible in order to allow yourself sufficient time to make a successful visa application. This may include a letter from the course administrator confirming your place on the course; this confirmation letter will not be issued until all course fees have been paid in full. In the case of a visa application being unsuccessful the Department for Continuing Education will not offer a refund. This summer school is aimed at English Language Teachers of secondary school and adult students with at least four years' teaching experience. All teachers should have a minimum level of CEFR C1 proficiency across all skills. Please note that the workshops require active participation at the individual, paired and group level. Applicants must have a minimum of four years' experience of teaching English as a foreign or second language to secondary school pupils, college or university students or adult learners. Applicants should have a minimum level of proficiency in English equivalent to CEFR C1.